Do you have a Sprint iPhone 5 and are looking to leave Sprint in search of a new carrier? Instead of purchasing a new iPhone, why not use the iPhone 5 you already have and stick with Sprint’s network? Sprint MVNO carrier Ting is now offering Sprint iPhone 5 users a chance to bring the iconic smartphone onto its network. Of course, the Sprint iPhone 4 and iPhone 4S are still available and compatible with the network, although it’ll be a while before the iPhone 5s comes to Ting. According to Ting representatives, Sprint is not allowing the iPhone 5s to go prepaid at the moment. 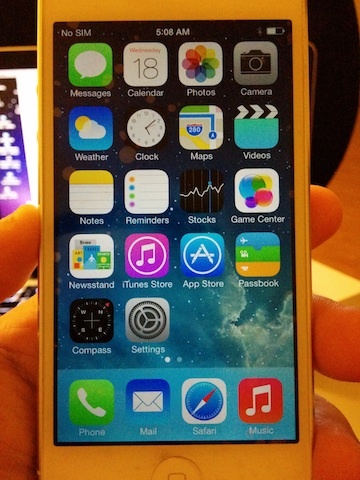 All this is to say that iPhone 5s users who have an unlocked iPhone 5s can always use AT&T and T-Mobile. Sprint has had a bad reputation in recent years as being one of the slowest, most unreliable networks in America. At the same time, however, Sprint has been improving its service by way of its Spark technology that will supposedly revolutionize internet data speeds for Sprint customers in the next few years. Depending on where you live, Sprint is either reliable or not. With T-Mobile’s recent rise (and never-ending rumors of a Sprint/T-Mobile merger), who knows? Sprint’s service may already be surprising you where you live, and may surprise others in the future. The iPhone 5 is now a year old, and turns 2 years old this Fall with the introduction of Apple’s iPhone 6. I traded in my iPhone 5 in December, but I can affirm that the iPhone 5 is still one of the best smartphones Apple ever made. While the iPhone 5s does have better battery performance with LTE data, some reputable tech analysts seem to think that Apple dropped the ball on Wi-Fi battery performance: the iPhone 5s does not match the Wi-Fi battery performance of the iPhone 5. How about it? Do you plan to activate a Sprint iPhone 5 with Ting? If so, why? If not, why not? Do your thing in the comments.